What goes down our storm drains could end up in our drinking water. When you pollute, you become part of a cycle that harms the entire community. Protect your water—it’s just beneath your feet. By volume, litter is the number one pollutant in our stormwater collection system. Every piece of trash, especially cigarette butts, causes problems for our groundwater, like causing clogs in the basins, which reduces the infiltration and replenishment of rainwater into the groundwater. 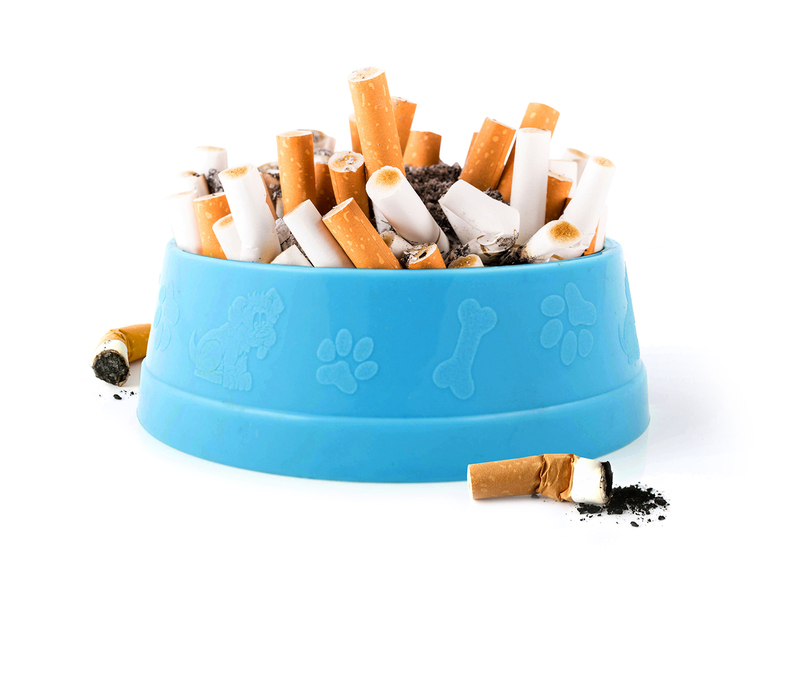 You wouldn’t give your dog a bowl of cigarette butts. Why would you let them go down our storm drains? Our groundwater may eventually become the water we use on a daily basis. The solution is simple: don’t litter! You can learn how to properly dispose of trash, how to protect our water from litter, and how to give back through volunteer cleanups here. Oil is a significant pollutant for our groundwater. Motor oil should never be dumped down storm drains because it is one of the hardest contaminants to remove from our water. 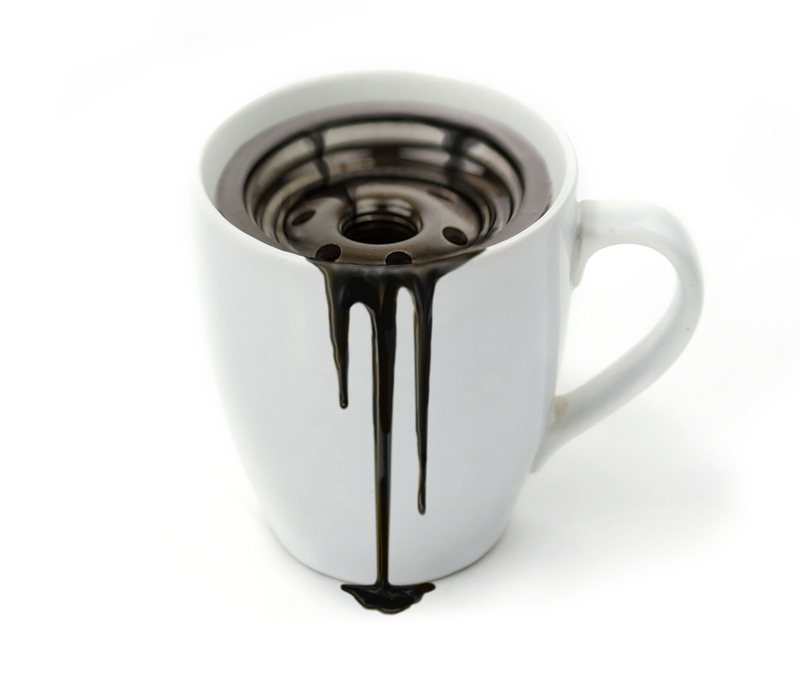 You wouldn’t want oil in your coffee. Why would you let it go down our storm drains? Our groundwater may eventually become the water we use on a daily basis. When you change the oil in your car, make sure you properly dispose of it through the Residential Curbside Collection Program or at any of these approved locations in Fresno. For more information about used oil recycling, please visit the Fresno County website. Paints and paint thinners become a serious offender to groundwater pollution when they are dumped on the ground or into storm drains instead of being properly disposed of. 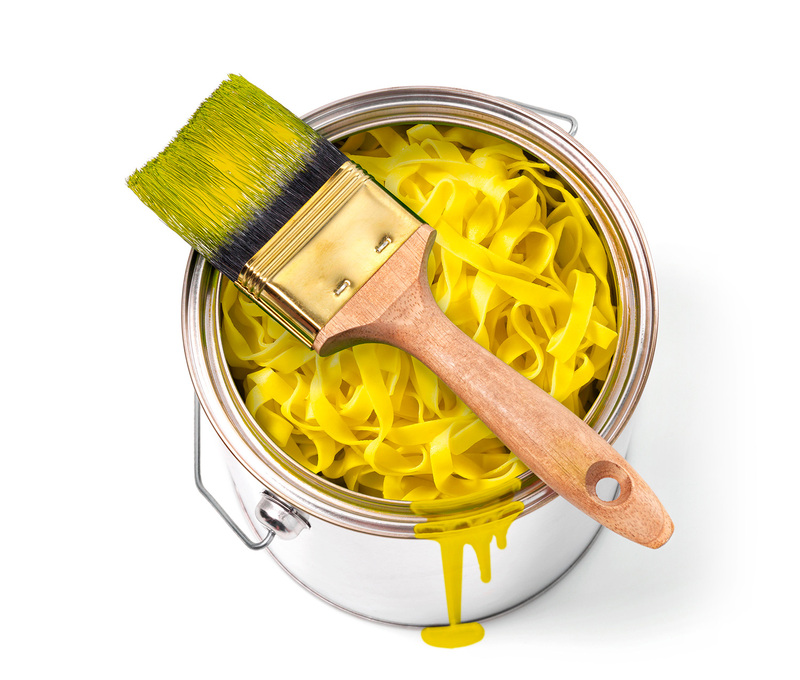 You wouldn’t cook your pasta in paint. Why would you let it go down our storm drains? Our groundwater may eventually become the water we use on a daily basis. When you are finished with your paint and paint thinner, make sure you properly dispose of it at a drop-off site. If you or your gardener fertilize your yard, you may be polluting the groundwater. Inadvertent overwatering leads to chemical contaminants, such as nitrates, flowing into the storm drains. Nitrates from fertilizers are a very soluble pollutant and can quickly reach and potentially pollute our groundwater. 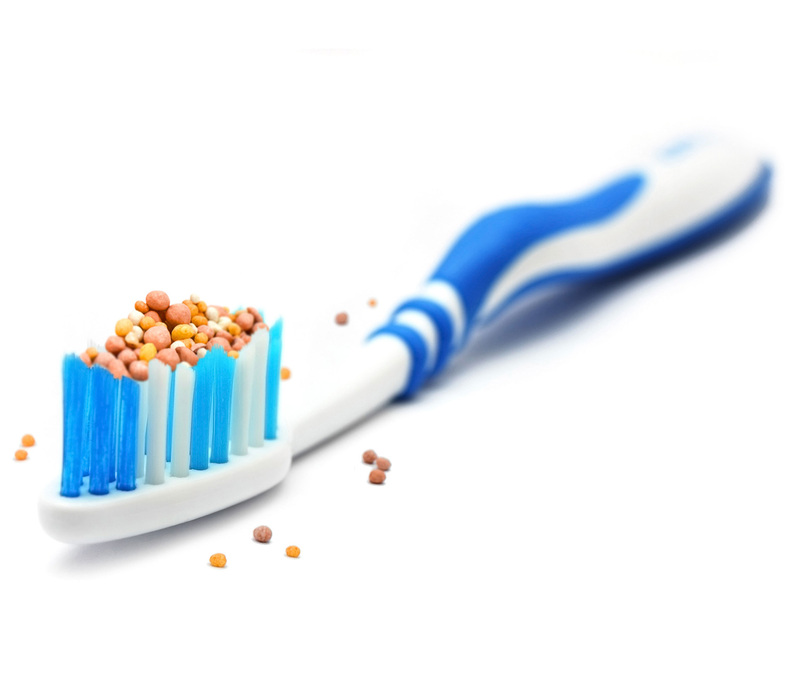 You wouldn’t put fertilizer on your toothbrush. Why would you overwater your yard and let it go down our storm drains? Our groundwater may eventually become the water we use on a daily basis. 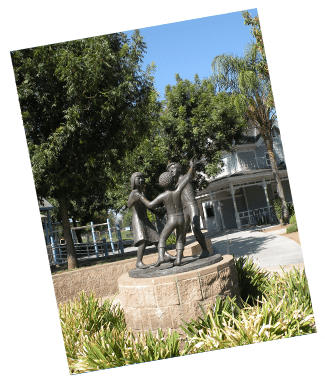 There are many services offered to help you become more water-wise, but step one should be figuring out when and how much you need to water your yard. Visit the fertilizer and pesticides information page for details about water schedules and smart gardening. For questions about eco-friendly and less-toxic alternatives, integrated pest management and proper disposal, contact your local Master Gardener. Pesticides make their way into our stormwater collection system in the same way that fertilizer does: using too much and overwatering. If you or your gardener use pesticides, you could be contributing to stormwater pollution without realizing it. Read the label thoroughly before using any pesticide. 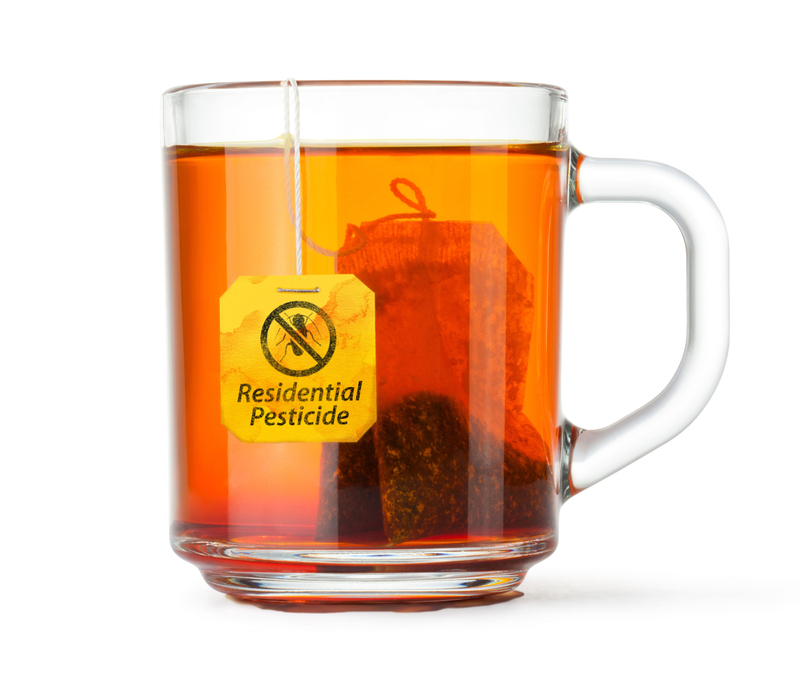 You wouldn’t put pesticides in your tea. Why would you overwater your yard and let them go down our storm drains? Our groundwater may eventually become the water we use on a daily basis. There are many services offered to help you become more water-wise, but step one should be figuring out when and how much you need to water your yard. Visit the fertilizer and pesticides information page for details about water schedules and smart gardening. During the dry season, 23 stormwater basins open as recreation areas for the community to enjoy! Learn more about our multi-use areas and reserve a space for your next gathering here. 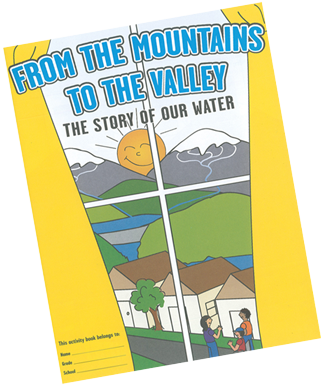 Learn more about how stormwater run-off and pollution affect the community with fun activities and useful classroom materials!